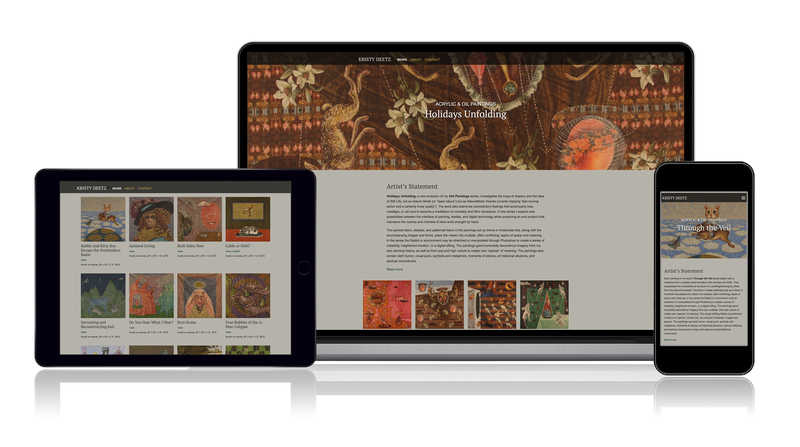 Kristy Deetz, Associate Professor of Art at the University of Wisconsin-Green Bay, chose us to design a brochure and responsive website showcasing her painting series – Through the Veil. 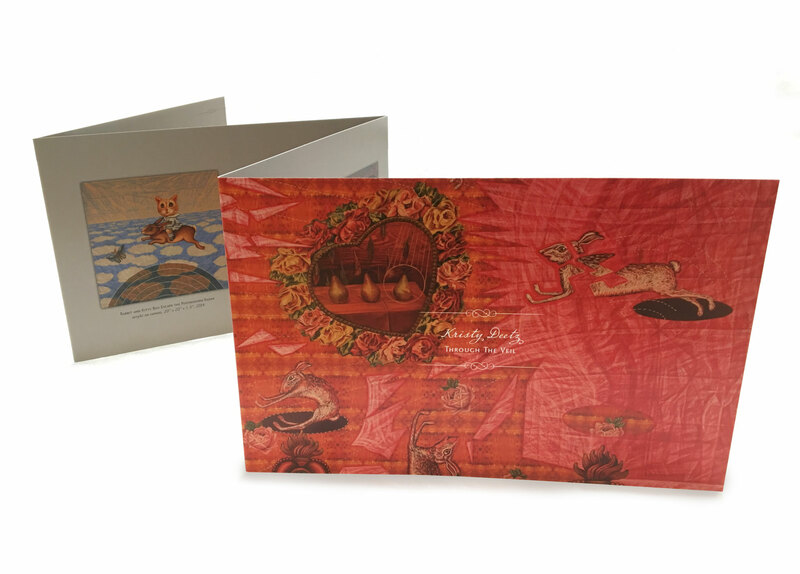 The accordion-fold brochure used repetition in the design of each panel to create continuity – a never-ending story for the viewer. Her website showcases her paintings, sculptures, digital artwork, and writing. Print Graphic Design & Interactive Web Design Services: Brochure design, responsive website design and development.